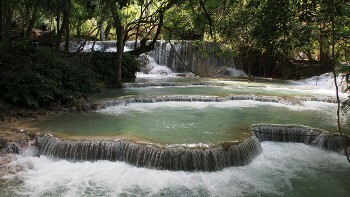 Lush, languid and welcoming, it's easy to see why travellers are lured back to Laos. 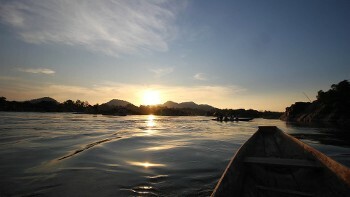 With its meandering rivers, remote villages and tranquil cities, Laos is famous for a gentle pace that invites you to slow down, relax and absorb your surroundings. 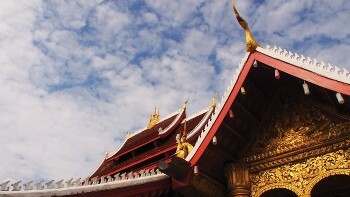 But this is by no means a boring destination: Laos's cities are a unique mix of golden Buddhist temples, French colonial architecture and colourful markets, thick with aromas of incense and fragrant street food, and yet you need not travel far to find waterfalls, caves and jungle-clad mountains to explore. 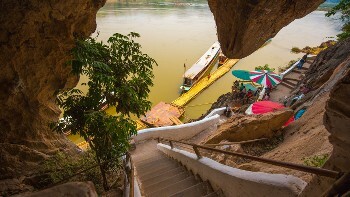 You can tour splendid temples and handsome colonial architecture in Vientiane, and unwind in the tranquil river city of Luang Prabang, with its saffron-robed monks and vibrant night markets. 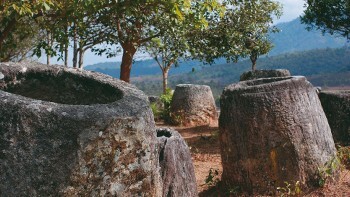 Then delve into the history of Southeast Asia by visiting the ancient Hindu Khmer ruins of Wat Phu or walking among the mysterious stone megaliths of the Plain of Jars. 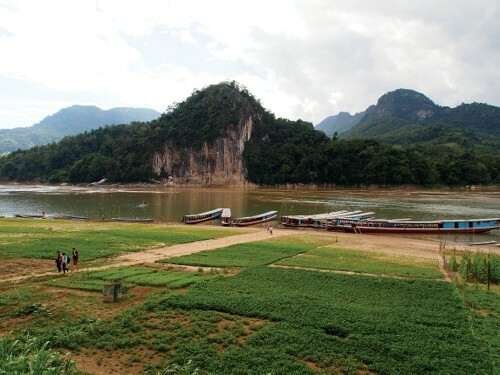 Enjoy Laos's wild natural beauty with a cruise down the lush waterways of the mighty Mekong or a sojourn in the stunning 4,000 Islands of southern Laos. 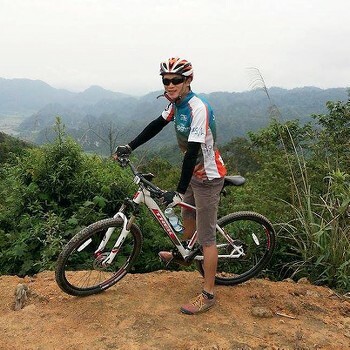 Don your boots and trek through the remote northern mountains, join one of our superb cycle journeys through scenic backroads and ethnic minority villages, or kayak down rivers fringed with dramatic karst outcrops. Whichever itinerary you choose, you'll love the unique landscapes, cultures, cuisine and ambiance of this unspoiled gem of Southeast Asia. 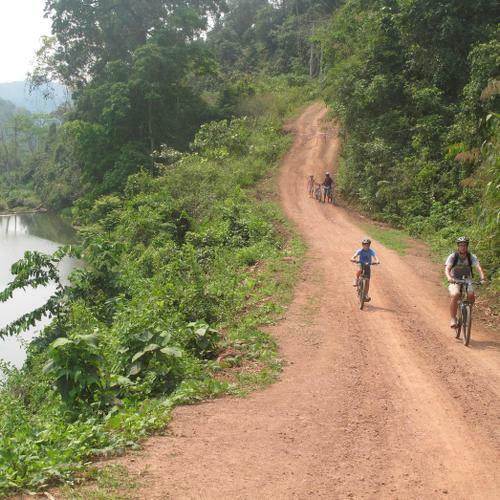 South East Asia's hidden gem, Laos is a perfect cycling destination.Explore at handle bar level this relatively undiscovered country and experience its welcoming hospitality and stunning landscapes. 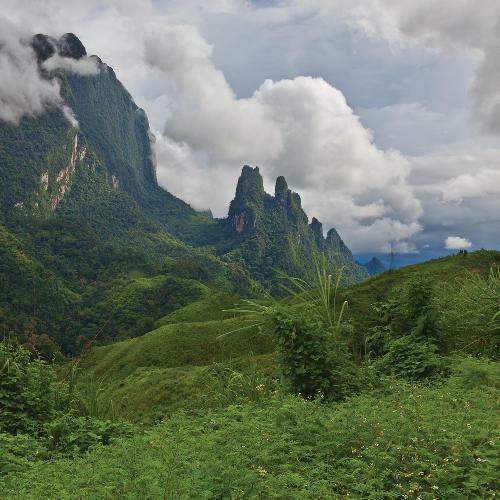 Discover the serene, natural beauty and hill tribe cultures of remote Northern Laos on this unique hiking itinerary. 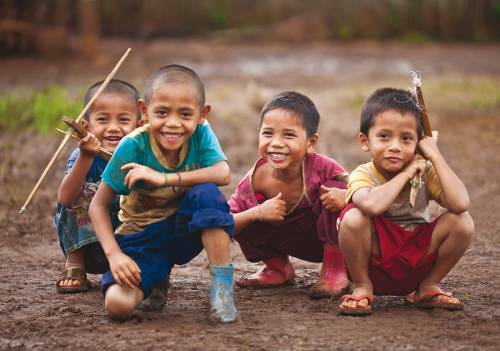 It is our expert field guides that make your Laos experience special. 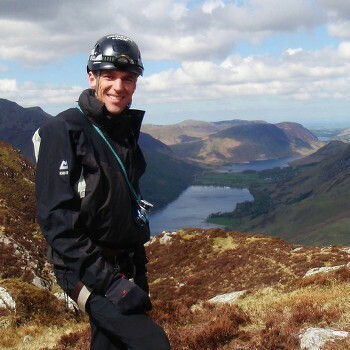 Not only are our guides passionate about the otudoors, but they choose to lead our trips with a deep belief that our itineraries minimise our environmental footprint and give back to local communities. We use quality inns situated in natural environments. They are not luxury inns; however we ensure they offer you a truly authentic experience. April is the hottest month. 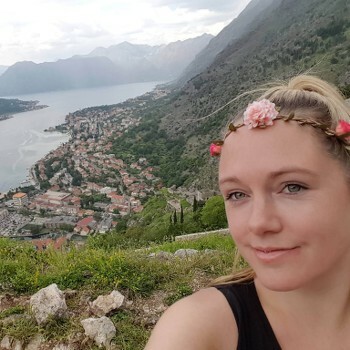 It is necessary to take along a warm jumper or fleece during the cool season as nights can be cool, especially in mountainous areas such as Luang Prabang. Between March and June, light cotton clothing and hats are recommended. On average you can expect daytime temperatures of between 25-32°C (77-90°F), with cooler night temperatures. 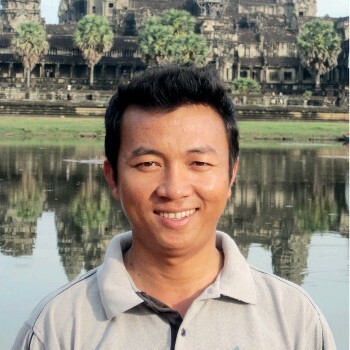 In Vientiane, average daily temperatures vary from a minimum of 16.4°C (62°F) to a maximum of 28.4°C (83°F) in January; to a minimum of 24.7°C (76°F) to a maximum of 31.3°C (88°F) in July. 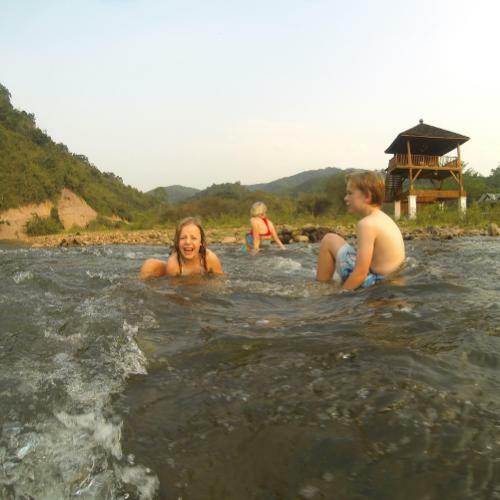 In Luang Prabang, average daily temperatures vary from a minimum of 14.2°C (58°F) to a maximum of 27.7°C (82°F) in January; to a minimum of 24.3°C (76°F) to a maximum of 32.5°C (91°F) in July. Thai Baht and USD are the best currencies to exchange although AUD, GBP, NZD are also accepted. 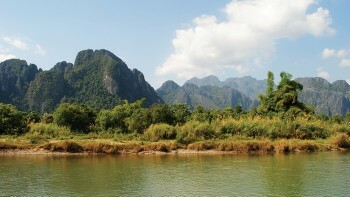 Banks and exchange facilities are found in Luang Prabang, Vang Vieng and Vientiane. Visa cards and ATM are available in most major centres, however it is not recommended to rely on these solely. If you are purchasing items of over US$50 it is best not to change this into Lao kip as you will require a small back pack to carry all the notes! Electricity in Laos is 230 Volts, at 50 hertz. 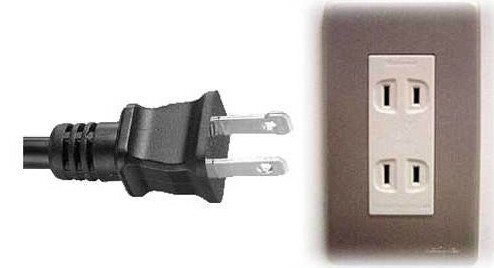 The pin type varies but is most commonly types A and C. We recommend taking a universal adapter. Details of obtaining visas prior to departure from your home country are provided in your confirmation kit. It is possible for citizens of the above countries to obtain a visa on arrival in Laos at MOST airports and land border crossings. You will need two passport photos and USD$35 cash (subject to change without notice) with you at the point of arrival. 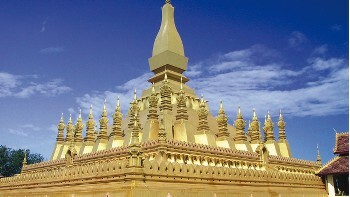 Please check with your consultant about you entry point into Laos if you intend to get your visa on arrival. As of February 2017 a new tourist arrival tax has been introduced on arrival. The cost is USD$2.25 and it will be collected on arrival in Laos.